Thirsty for a little fun? The Birmingham Whisky Club presents A Dram Fine Summer; ten whisky-themed events throughout June, July, and August. 'A Dram on the 4th' is the first event of July, and the only event in the festival which includes food in the ticket price. 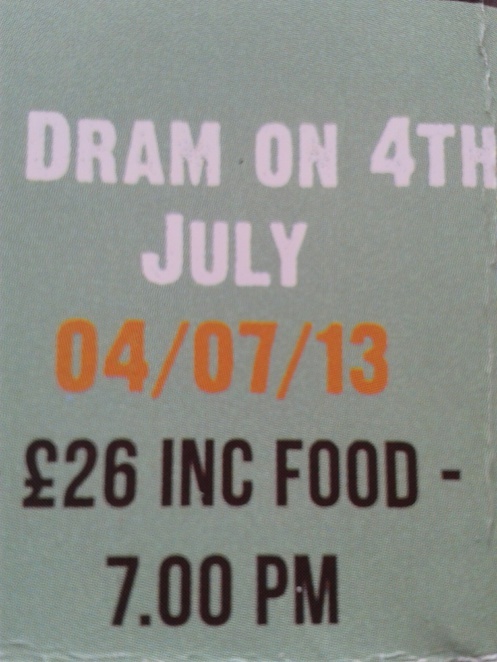 For £26 enjoy a nibble, a meal, or just the whisky. One of the sellers, The Whisky Miss provided me with an insight into Whisky. Interestingly it's not just Scotland that produces quality whisky, Asia - India and Japan are catching up. Apparently, Indian whisky is quite a fiery blend of a ginger notes and spices. Japanese whisky is also making its mark, as well as more unexpected producers in the EU, like Lithuania and France. 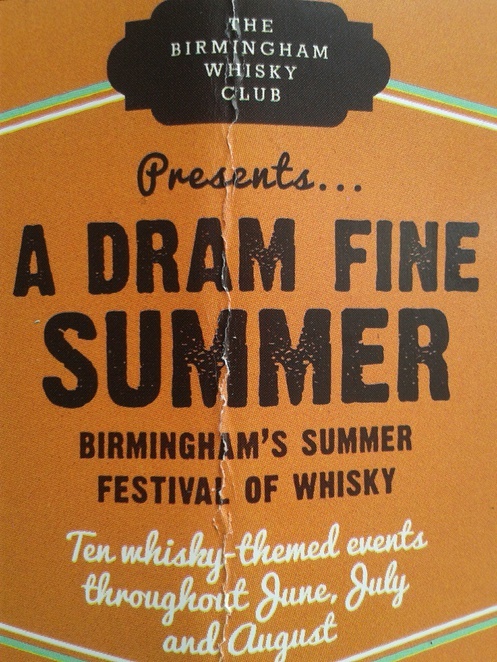 I'm rather excited to be going to A Dram on the 4th because I've sampled some of the whisky on offer at previous events in Birmingham. Let me tell you, the whisky is good.